Share this product and receive a $0.21 sharing discount. 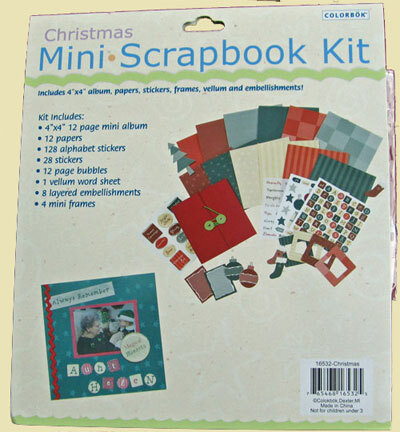 Give this adorable mini Scrapbook Kit to your child and have them create a Christmas Memory album for a favorite Aunt or Grandparent. 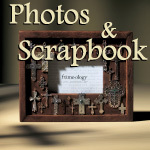 The Kit includes: a 12 page 4" x 4" mini album, 12 papers, 128 alphabet stickers, 28 stickers, 12 page bubbles, 1 vellum word sheet, 8 layered embellishments and 4 mini frames.